Dicaelus purpuratus, copyright Betsy Betros. 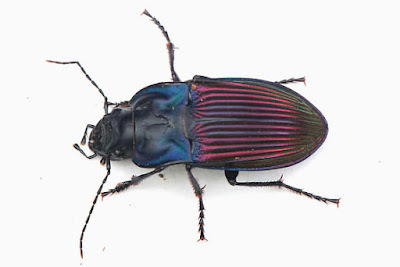 The Licinini are a cosmopolitan group of ground beetles characterised by a deep notch on the labrum. [M80] Matthews, E. G. 1980. A Guide to the Genera of Beetles of South Australia. Part 1. Archostemata and Adephaga. South Australian Museum: Australia.